sterling silver jewellery york fashion jewellery large range of sterling silver quote rings from our quote jewellery selection Sterling silver jewellery range of Fashion and Danon jewellery. For sale here Our affirmations large range of sterling silver quote rings from our quote jewellery selection. sterling silver quote rings are a great lasting way of keeping your loved one close with a message from you. Quote Rings are a great way to tell a loved one, mum, wife , daughter or a friend that you care! 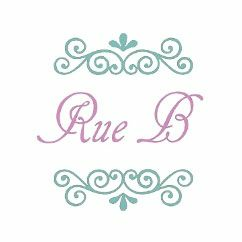 Rue B fashion and quote jewellery are a mix of fashion and hand-made sterling silver jewellery all of the highest quality. Every piece of affirmations quote jewellery is nickel free and given a hypo-allergenic coating, Discover Beautiful Silver, Gold and Rose Gold affirmations Quote Jewellery. With our great range of women's bracelets and quote message bangles, you need look no further for a gift for her on any occasion. Take a look at our Best seller range for out top silver quote message rings, necklaces and pendants with a huge range of platitudes. Our fashion silver quote jewelery bangles and quote rings are Rue B's best selling line.